Since 1998, former college basketball player and high school coach, Dave Guinane, founder of The Basketball Workshop, has worked with thousands of high school and collegiate players taking their game to the next level through his innovative total improvement system. 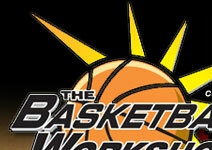 Now, The Basketball Workshop is offering franchise opportunities to former college players and basketball coaches nationwide. As youth sports becomes more and more competitive, many parents and players are finding that the individual training program, offered by The Basketball Workshop, can be the difference when players compete for spots on the high school basketball team or for college scholarships. The Basketball Workshop's targeted four-week training sessions help improve a player's individual skills in all areas of the game, including shooting, ball-handling, offensive footwork and defense. In addition, The Basketball Workshop offers a variety of summer clinics, such as the popular point guard or post camp, to help refine a player's skill in a particular area of the game. All of these training sessions and clinics offer The Basketball Workshop franchisee with ample opportunities to earn a good income, whether it is a part-time venture, or a full-time business. With youth and high school basketball coaches spending much of their time preparing players for "the next game", there is a real growth potential for The Basketball Workshop's unique, innovative individual training sessions and clinics. If you want to "stay in the game" and get the satisfaction of helping players of all skills “Take Their Game to The Next Level", then a Basketball Workshop franchise may be right for you.